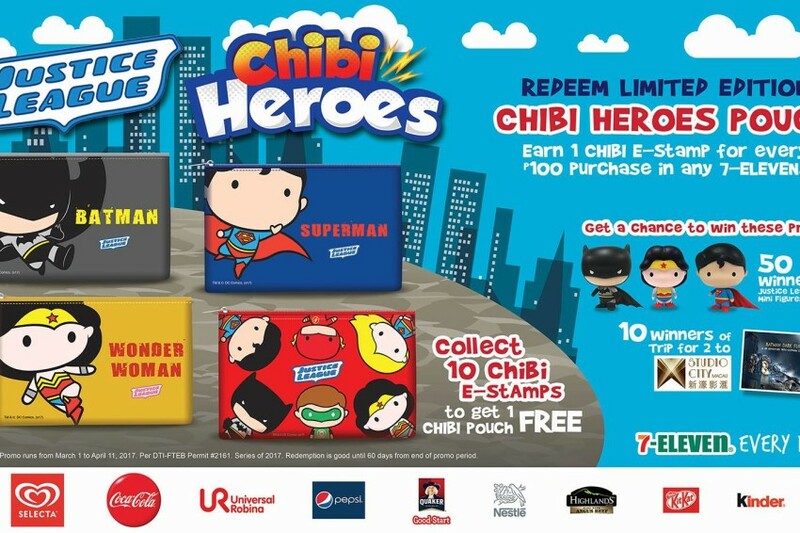 As 7-Eleven celebrates the opening of their 2000th store, they are introducing the adorable Chibi superhero pouches that promises to be an indispensable accessory for their most loyal customers. The cute pouches feature the Chibi versions of Superman, Batman, Wonder Woman, and the Justice League which can be availed using e-stamps that can be accumulated through purchases done within 7-Eleven. The word “Chibi” is known to be a Japanese slang word that means “short or small person.” The pouches can be claimed until April 25. ● Collect 10 Chibi Stamps to get a free Justice League Chibi Pouch. ● 1 Chibi e-Stamp is earned for every P100 purchase in any 7-Eleven stores. ● Additional Chibi e-Stamps are available by purchasing booster products. 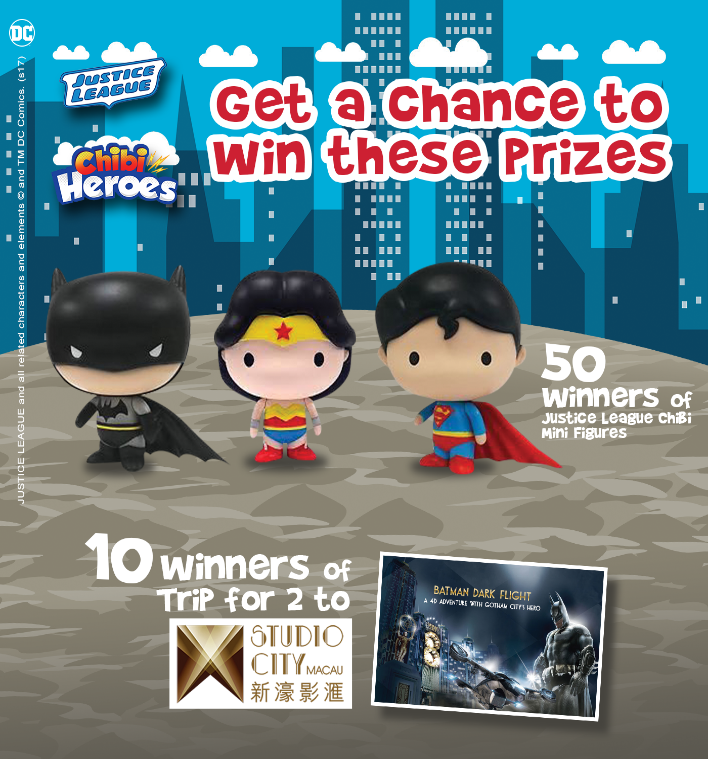 7-Eleven will also have a Chibi e-Raffle where 50 people can win Justice League Chibi Mini-Figures and 10 people can win a trip for two to Studio City Macau for a Batman Dark Flight Experience. ● Collect Chibi e-Raffle entries for every P100 worth of purchase from any 7-Eleven store. To further build the excitement for these cute Justice League characters, 7-Eleven Gulp cups will also have Superman, Batman, Wonder Woman, Green Lantern, Flash and Harley Quinn designs. Customers can also choose a cup with their favorite superhero design.